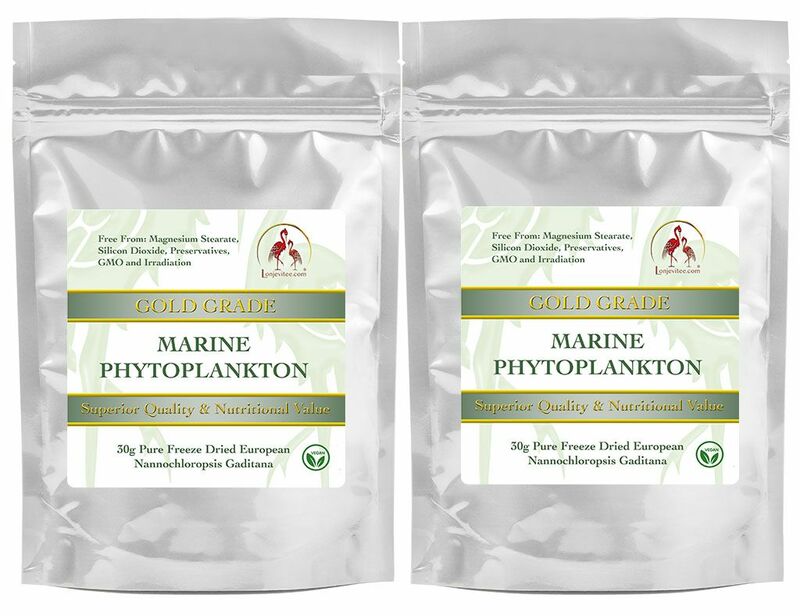 Phytoplankton 'Gold Grade' Freeze Dried European Nannochloropsis Gaditana - 2 x 30g loose powder in a resealable stand-up-pouches. This superior grade Phytoplankton contains more EPA. 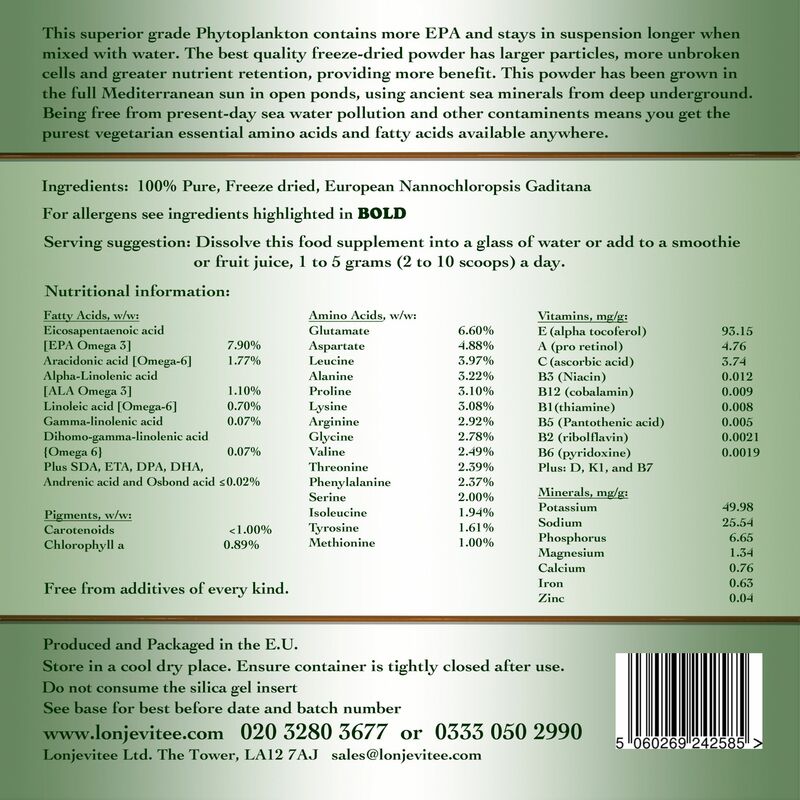 We used to order a different phytoplankton from another retailer. My wife and daughter used to force me to take my capsules, like they would oblige a reluctant kid to swallow his disgusting but healthy syrup. And suddenly, at one meal, I realized the capsule didn't taste so bad anymore. They used to taste like rotten crab in the sludge of a fishing harbour at low tide. And I realized : "My Godness ! These are Lonjevitee capsules ! They taste so much sweeter ! That's what Lonjevitee meant with the ethical manufacturing. And I concluded that the other retailer might very well have left his marine tanks ferment like sewers in a slum district."